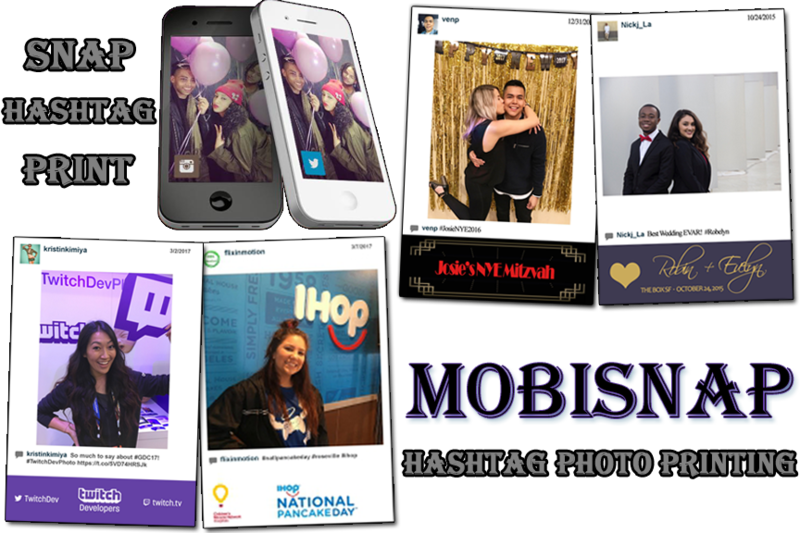 MobiSnap can be completely customized to YOUR event with branded photo footer, custom kiosk graphics or MobiSnap wraps. You choose as much or as little customization as you would like. Sharing photos on Social Media is easy…and now printing them has become even easier with our MobiSnap! We have combined the convenience of uploading pics with the fun of printing custom-branded 4×6 photos. Just Snap…Post…Print. It’s that simple!